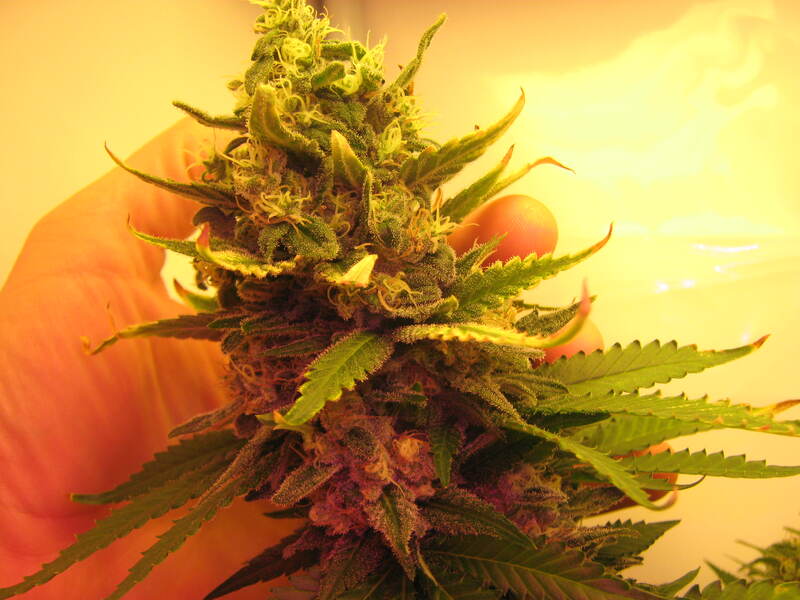 After a close peek at the trichomes with a 20x magnifier, I decided it was time to harvest these hundred-Watt beauties. Honestly, the DG x AK cross could have gone another week or 10 days, but I had the free time at that point. (Please note that this was about 10 days ago now, so I have dried harvest weights available below. Thanks for tuning in again, and my apologies about not sticking to weekly updates as I had hoped to do. 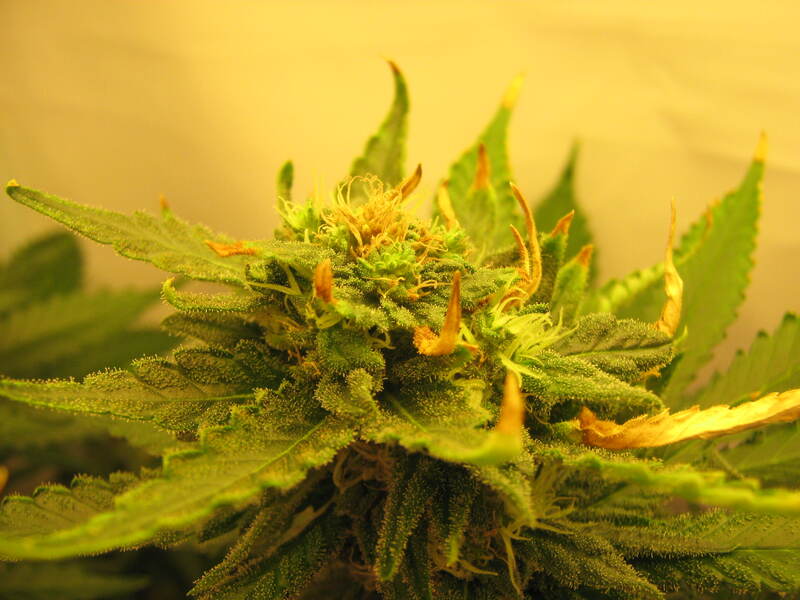 The plants are actually now harvested, and I am surprised at the results. 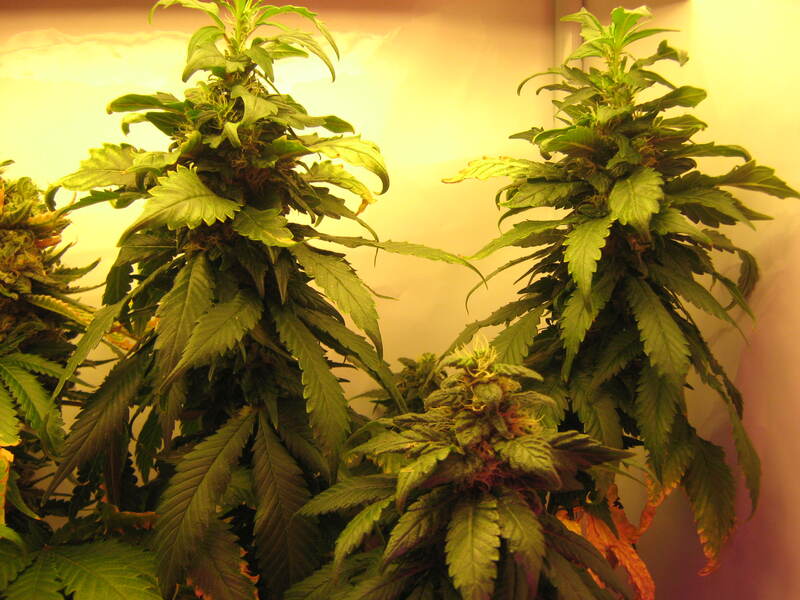 You’ll soon see that 100 Watts (or a hair more) of CFL lighting can make you a rather happy home grower. But I digress… We first need to catch up with some pictures from last week showing our two plants in the final weeks of flowering. 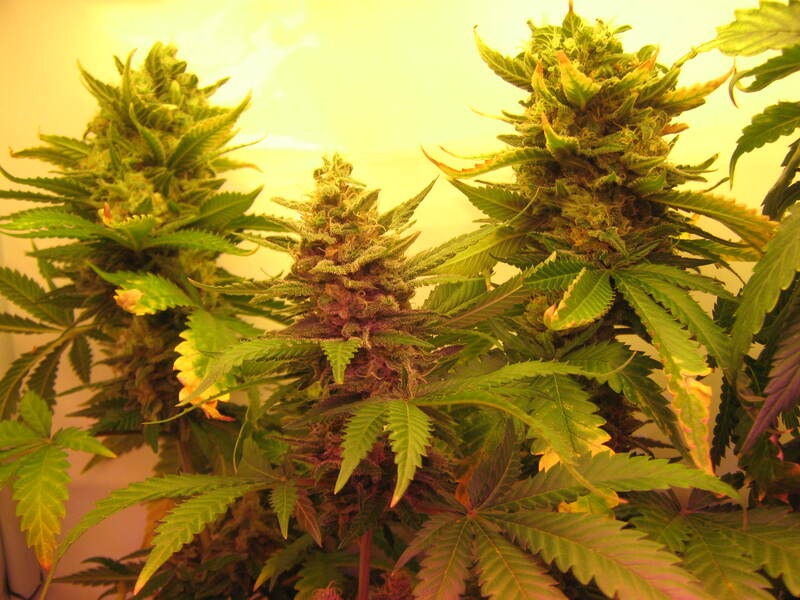 They fattened up nicely, although the Double Gum/Afghan Kush cross kept itself well hidden in a wreath of dark green leaves. 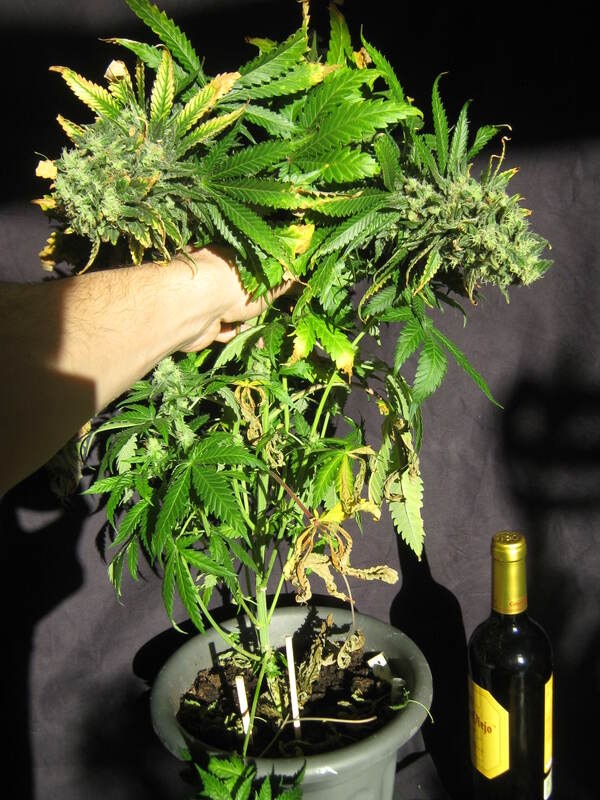 The above photo is from a little over 2 weeks ago – showing the Dinafem Critical + plant at four weeks of flowering. Below are some more pictures from last week (Nov 9th) at about 6 weeks into flowering. Checking the trichomes showed a lot of milky heads and even a few browned (oxidized) trichomes, so the time was coming for harvest this week. Not bad for an easy home grow/hardware tore/CFL grow! Be sure to pick up our ebook for all the right tips on getting these kind of results at home! Up, up and away… the DG x AK cross-bred plant wants to keep going.